Would the real first Matilda Bay beer please stand up? Matilda Bay Brewing Company has celebrated the first anniversary of their new home in Port Melbourne by commissioning a new brewhouse that has replaced the old equipment brought over from their former home in Dandenong one year ago. When the new mash tun and kettle were turned on for the first time late last month, the brewers christened it with the brewing of Matilda Bay’s youngest beer, I.G.P, followed by an old favourite in Redback Pale. Unlike the Red Back Original Wheat that you buy in bottle at liquor outlets, Matilda Bay’s Red Back Pale is unfiltered and only available in draught form, providing a cloudy weizen beer. It is hard to find, with only a handful of bars tapping the pale version, including the Matilda Bay brewery bar in Port Melbourne, Mitre Tavern and Three Below in Melbourne city and at the Pig ‘N Whistle in Riverside, Brisbane. I love the story of Matilda Bay, not because of the questionable claim as “the first/original craft/microbrewery in Australia (since the war)”, but because of its importance to the modern microbrewing industry in Australia. Matilda Bay was born through the passion of beer loving mates who sought to resurrect flavoursome beer and diverse styles in Australia during a time when the market was dominated by generic lagers. The brand is the one one of the very few remaining success stories of the 1980s brewing boom. The company and its beers are vastly different from the Matilda Bay of the 1980s, but that is not something that current owners, Carlton & United Breweries (SABMiller), shy away from. The current brewers continue to produce an excellent range of accessible, characterful and enjoyable beers, now on a much larger scale. The brand has a strong and active history, unlike many of the beers lost to time. Alarm bells rang in my head at this claim when I saw “first” and “1988” together. My understanding was that Matilda Bay Brewing Company began in 1984. Surely they had produced many beers before 1988? Was Redback actually the first Matilda Bay beer? Recently, the company’s marketing has been very positive about embracing and recalling the full history of the Matilda Bay, from its beginnings with Phil Sexton to its change in ownerships, beers and locations. It has been a refreshing PR approach in contrast to the back story of the competing James Squire brand, which bears no relation to the history of the brewery. However, was this generally accepted claim about Redback a sign that an abridged Matilda Bay history may now be falling the way of Crown Lager lost history? Holding onto Matilda Bay’s rich history provides the brand with its strength in the craft beer industry. Diverging away from the true story, intention and character of the beers will only diminish Matilda Bay’s role as a modern brewing icon. My curiosity to fill this gap in my knowledge of Aussie brewing history drove me to delve into the archives (aka the internet), along with some essential assistance from Brews News historian Dr Brett Stubbs. Using Google and Brett’s extensive knowledge and records, I was able to easily piece together the following facts about Matilda Bay and Red Back Beer (sic) circa 1983 – 1990, which highlighted a rich brewing career for Matilda Bay before the birth of Red Back. Former brewer for Perth’s large Swan Brewery, Phil Sexton, along with Garry Gosatti, John Tollis and Ron Groves, and financed by Peter Briggs, formed the company Brewtech Pty Ltd to commercially brew and release beers inspired by Phil’s experience of beers whilst studying in the UK and travelling around Europe. The main connection between the founding members of Matilda Bay Brewing was the University of Western Australia Water Ski Club. They skied on the waters of Matilda Bay. With a lack of interest and support from Perth hotels pubs to sell their beer, Brewtech purchased and renovated the Freemasons Hotel in Fremantle and reopened it as Sail & Anchor with an in-house brewery that produced beers from late 1984 under the banner of Anchor Brewing Co.
Willie Simpson has published a number of articles in Fairfax media that quote MBBC founder Phil Sexton recalling the first Matilda Bay beer as “a dark, copper-coloured, traditional ale” called Anchor Ale. In 1985 Brewtech opened their second venue, The Brewery Alehouse on the Stirling Highway in Nedlands. Brewtech also purchased a building at 31 Carrington St Nedlands WA which housed the Matilda Bay Brewing Company and began producing beers in 1985. 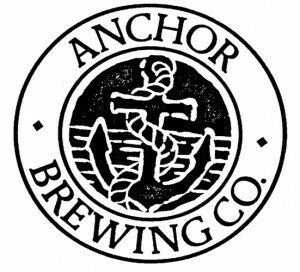 Reports from former bar staff and drinkers at Sail & Anchor in the 1980s suggest that Anchor Brewing focused on producing ales whilst the Matilda Bay brewery produced lagers. Brewtech purchased and ran several more venues as outlets for their beers. A March 1986 newsletter (Vol 16, No 2) of the long-running Victorian Beer Label Collectors’ Society, a fantastically rich and respected source of Australian brewing history from the last 40 years, shows a label for a Matilda Bay Brewing Co India Pale Ale and an Anchor Steam Beer. 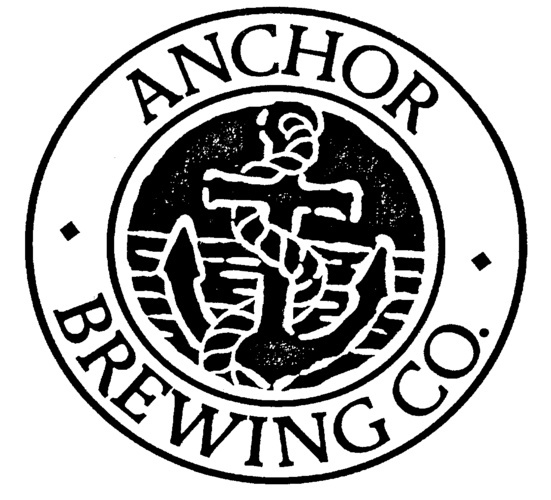 The November 1986 issue (Vol 16, No 6) shows the Matilda Bay Special Bitter and the Anchor Brewing American’s Cup Ale. In a 1989 interview with Matilda Bay brewer Janice McDonald published in Melbourne’s The AGE newspaper, she explained that that Matilda Bay drinkers had “the choice of dogbolter (a term which means the strongest ale in the house), traditional bitter, pilsener, dark lager, weizenbier or wheat beer (later named Redback), brass monkey stout, or milk stout”. In 1986 Brewtech and Matilda Bay Brewing Company lodged preliminary Class 32 trade mark queries and applications on: DOGBOLTER, OKTOBERBRAU and EASTER EGG, whilst “WEIZEN” was recorded in July 1987. 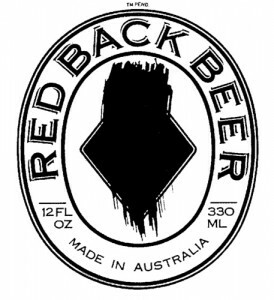 The word “REDBACK” and the image for “RED BACK BEER” was not registered until July and September 1987 respectively. During 1986 Matilda Bay released a beer called Summer Wheat, a seasonal ale for the summer: See – Stephen S. Holden. (2011) “Three cheers for new beers: Marketing insights from the birth of boutique brewing in Australia“. In 1987 Brewtech Pty Ltd changed to Brewtech Limited then made the decision to consolidate their business under the Matilda Bay Brewing Company name. 3 Sept 1987: RED BACK BEER label design trade mark is lodged. In 1988 Red Back Beer, the summer wheat ale, was released as part of the core range of Matilda Bay beers for the reinvigorated company. Brett Stubbs has Redback labels with both “Brewtech Limited” and “Matilda Bay Brewing Co” on them. The labels’ Best Before dates are in 1988. So Red Back’s status as the first Matilda Bay seems to be mistaken history. It was a flagship brand of the reinvigorated Matilda Bay Brewing Company that arrived in 1988 along with a 20% stake acquired by Carlton & United Breweries. However, many beers from Matilda Bay were released before the Red Back ancestor was first brewed as a weizen in 1986. The real first beer of the Matilda Bay Brewing Company could just as easily be any of the IPA dogbolter*, traditional bitter, pilsener, dark lager, weizenbier, brass monkey stout, milk stout or more! To be absolutely factually accurate, we would need to find out exactly which beer was first brewed and released from the Matilda Bay brewery in Nedlands back in 1985. Does anyone know? It has also been interesting to unveil the fact that the Redback beer brand has nothing at all to do with the redback spider, a common misconception. Nonetheless, today’s incarnation of Redback Pale is a wonderful beer to rediscover. Awarded a Gold Medal and the Champion Trophy for best wheat beer at this year’s Australian International Beer Awards, it has the credentials to confirm it’s status. Wheat beers remain a mostly underrepresented style on today’s Australian beer market, from big and small brewers alike. Synonymous with Germany and Belgium, the AIBA often see the Champion Wheat Beer awarded to a beer from Europe with a long history. Prior to this year’s win, Redback also managed to secure the AIBA award in 1993 and 2008 as well as a Gold Medal in 2003. Redback is a beer Australia should very proud off. It was once an Aussie craft beer icon. Today, Redback simply sits quietly within the Matilda Bay range of beers. Let’s hope that Redback Pale can once again capture the attention of drinkers from the west to the east of Australia. The above history was compiled through reading the online resources listed in the below references, primarily the 2011 conference paper published through Bond University by Stephen Holden. Stephen S. Holden (2011). “Three cheers for new beers: Marketing insights from the birth of boutique brewing in Australia” Australian & New Zealand Marketing Academy Conference ANZMAC 2011. Perth, Western Australia. Nov 2011. Brett Stubbs (2007). “”DO BREWERS KNOW THEIR OWN HISTORIES?”, Brewer & Distiller International vol 3(1), January 2007 – a modified version of this article was published in the May 2007 newsletter of the VBLCS (Vol 36, No 3). Willie Simpson (2004), “Beer born again“, The AGE (Epicure), January 27, 2004. Willie Simpson (2005), “What a bottler“, The AGE (Epicure), August 23, 2005. Toni Flanagan (2007), “Where the Ducks Bark and the Beez have Neez“, 3rd Degree , May18, 2007. Edith Cowan University Communications Programme. Willie Simpson (2010),”Pioneer brewery suffers for its craft“. Sydney Morning Herald (Good Living), March 23, 2010, page 22. AustralianBeers.com (2010), “A Quiet Beer with Phil Sexton“. *You may also be surprised by the journey and complex history of the beer we now know as Matilda Bay Dogbolter. Today it is a very different brew to the first Dogbolter of the Anchor Brewing Co. I have been a patron and great supporter of the Lord Nelson Pub Brewery Hotel in Sydney and have been drinking there and their beer made on premise since 1987. I consider it to be one of the remaining success story’s of the 1980s brewing boom. In fact they are still on the same corner brewering the same beers with a loyal following that have been drinking there for as long as I have and I am sure a few even longer AND Blair Hayden is still running the place – He is one of the few remaing beer legends and most certainly a success story dating back to the 80’s! there I have that off my chest off to the Lord for a Three Sheets! Good call Paul, and a good reason we all need to check our histories! Thanks for that. Thanks for your comment, Paul! Good call. I admit that I’m very unfamiliar with the history of the Lord Nelson brewery. I had no idea they have been around for so long, so there’s a good lesson for me! I guess “success” is relative and/or subjective. The Matilda Bay brand is very widely known across the whole country and provided its founders with a big windfall through the acquisition by Fosters. This presents a strong case for the brand’s success in terms of value, possibly the strongest of all small breweries started during the 1980s. On the info you have provided, Lord Nelson has indeed maintained a strong and successful business, true to its origins, and I assume they are very well know to their local region. However, they probably don’t have the same level brand value established by Matilda Bay in their early years. In recent times I have occasionally seen Lord Nelson beers in Dan Murphys around Melbourne. Beyond that, their story and impact is mostly unfamiliar compared to that of Matilda Bay. Nonetheless, point taken and I look forward to one day visiting Lord Nelson and experiencing a true stalwart of Australian brewing from the last 25 years. I reckon I would know; first beer was Anchor Ale, open fermented and dry hopped/conditioned in a firkin cask and served on the bar after allowing it to equilibrate (with atmospheric pressure)….couldn’t afford pressure vessels or refrigeration. First brew was mashed after midnight by John Tollis and myself after we had closed the bar, hosed the toilets, ducked a street brawl (Freo circa 1984) and found something to eat at the souvlaki across the road. John fell asleep at traffic lights at the wheel of his car on the way home around 5am; woken by police and after surviving the breathalyser, was escorted home. Drank most of it ourselves over the next days to make sure we weren’t going to get ill….and besides, the draft Coopers and Guinness we had smuggled into the state (there was a “trumpesque” wall at the state border) was going off. Noone was quite ready for CAMRA style ale at that stage. Matilda Bay is owned by CUB these days and they say the beer is still available, just very hard to find.